The red room has a different flavor. Being the only one with a gres porcelained flooring, is the couples’ favorite, because of its passion expressing colors. Very spacious: combines elegance and handiness. 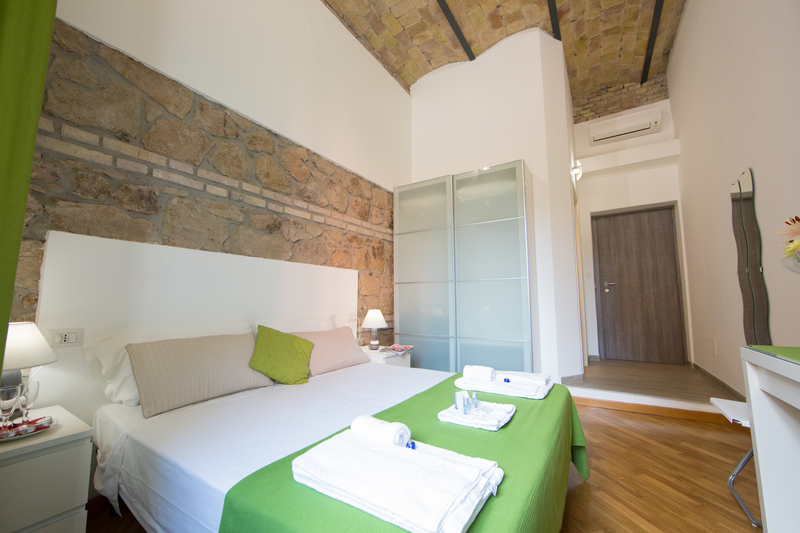 The green room, with very soft colors and good brightness, creates a unique atmosphere thanks to the natural stone, brought back to the light near the bed headboard. The purple room is one of the largest and spacious rooms of the bed and breakfast. Equipped with beautiful four meters high ceilings, "Roman vaults" wisely illuminated and particularly silent. An extra bed available on request. The Great Beauty is the new bed and breakfast in Rome. 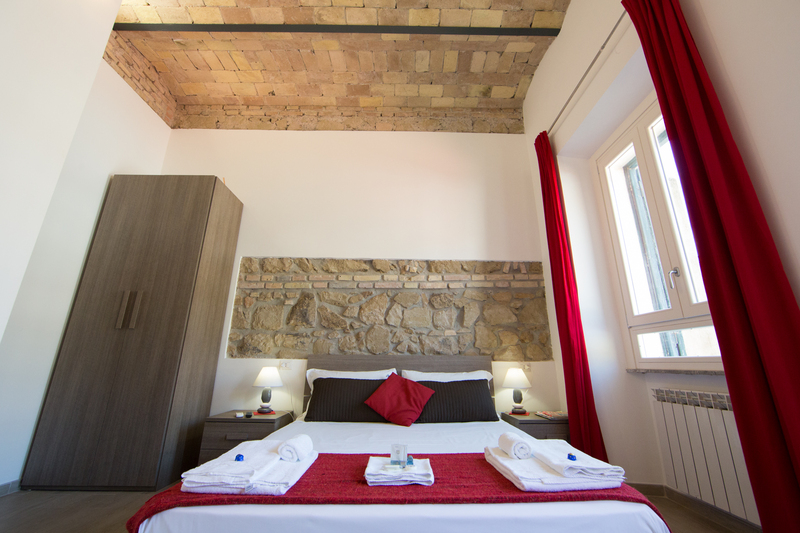 Recently built, is ideally located allowing to fully enjoy the wonders of Rome, thanks also to its characteristic newly-refined rooms, with walls and ceilings in Roman stone. Very well located, in a recently renovated building (on the 3rd floor, with elevator), allows to walk to the Vatican Museums, St. Peter's, Piazza Risorgimento, Via Cola di Rienzo and all the attractions the wonderful Prati district can offer. 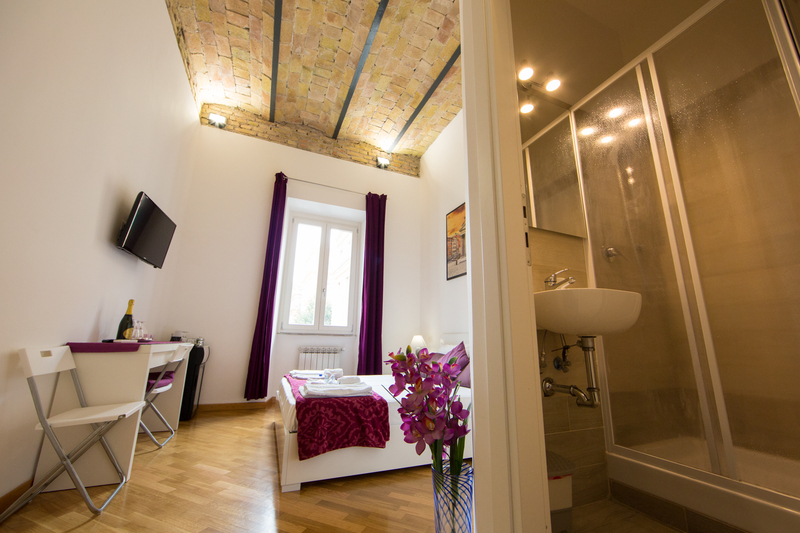 Well connected by public transport (just 400 meters away from the Metro "Ottaviano-San Pietro"), makes you able to move in an easy and cheap way to enjoy the beauties of the Eternal City.